It's very pure, won't influent the purity of the material and having a long service life. If it's used in the protective atmosphere, it can stand more than 2000&deg;c. The actual price will depends on raw materials, exchange rate ,wage and your order quantity . 3. Impact resistance: Graphite crucible can bear high thermal impact, so any process can be carried out. 4. Acid resistance: The adding of special materials will greatly improve the quality of crucible, especially its index of acid resistance. 3. Machined from high pure graphite and widely used in the gold,silver,platinum and other noble metal's melting. They always go to the fire as they leave the packing, without any thermal precaution. 4. Once located in the furnace, in no instance should they be kept on a slow fire. 4. Offering the support to solve the problem in the application or selling period. 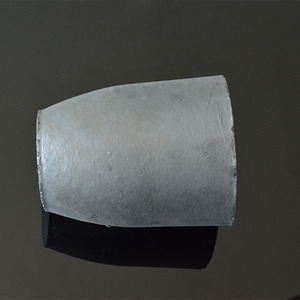 Zhucheng Jinde Refractory Co., Ltd.
Graphite Crucible for Melting Silver, Gold, Aluminium, Steel, Cast Iron, etc. 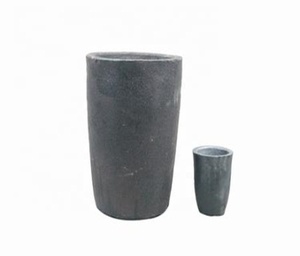 Graphite crucible has good thermal conductivity and high temperature resistance, the use of high-temperature process, the coefficient of thermal expansion, rapid thermal, quenching has some resistance to strain. 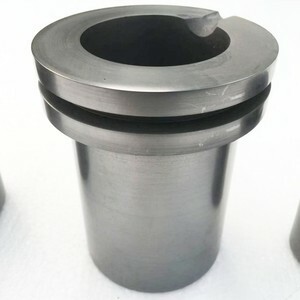 featured by fast heat conduction,long service life Garphite crucible can withstand the high temperature, an has good resistance to chemical erosions and thermal shock. 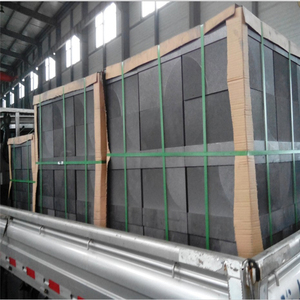 4 Good thermal conductivity: can greatly shorten the melting time, energy conservation 5 Less than 300pp of ash to ensure that precious metals in the smelting is not contaminated. Tags: 20# Graphite Clay Crucible For Melting Metal | Qingdao Sam Thriving Machinery Co.ltd. 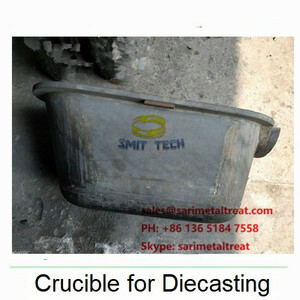 Alibaba.com offers 550 cast iron crucible products. About 49% of these are graphite crucible, 26% are industrial furnace, and 2% are cast & forged. A wide variety of cast iron crucible options are available to you, such as iron, steel, and alumina ceramic. You can also choose from free samples, paid samples. There are 550 cast iron crucible suppliers, mainly located in Asia. The top supplying countries are China (Mainland), India, and Sweden, which supply 98%, 1%, and 1% of cast iron crucible respectively. 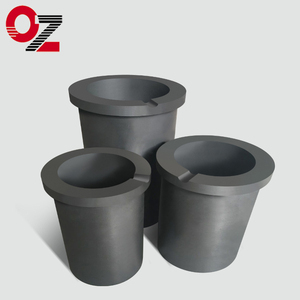 Cast iron crucible products are most popular in Domestic Market, North America, and Western Europe. You can ensure product safety by selecting from certified suppliers, including 192 with ISO9001, 75 with Other, and 5 with ISO14001 certification.